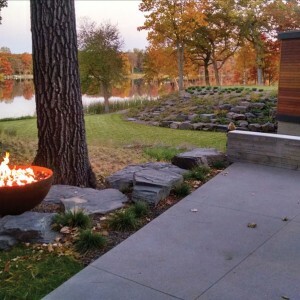 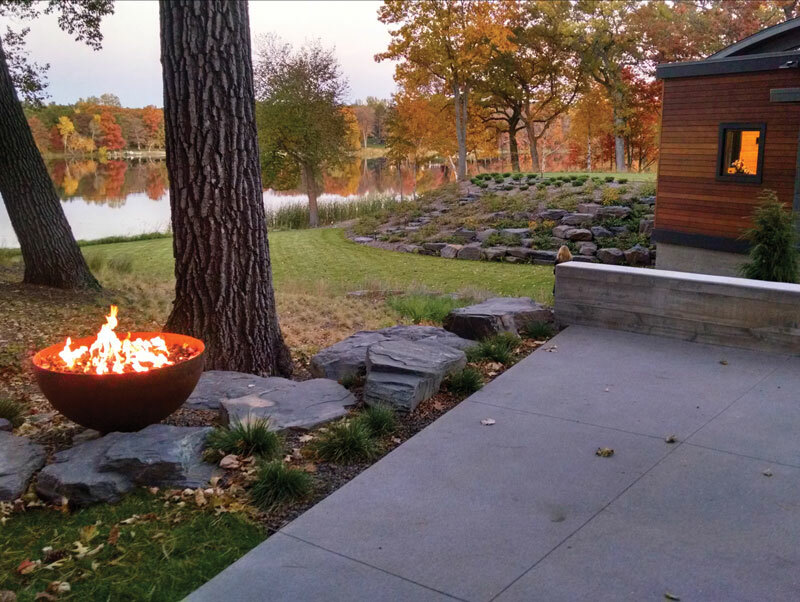 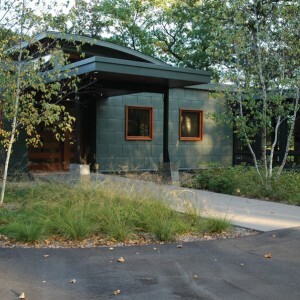 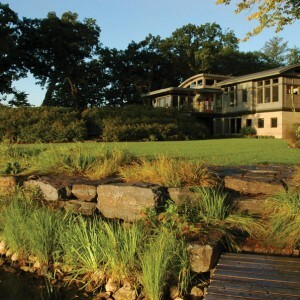 This project exemplifies the successful collaboration of architectural design and landscape architecture. 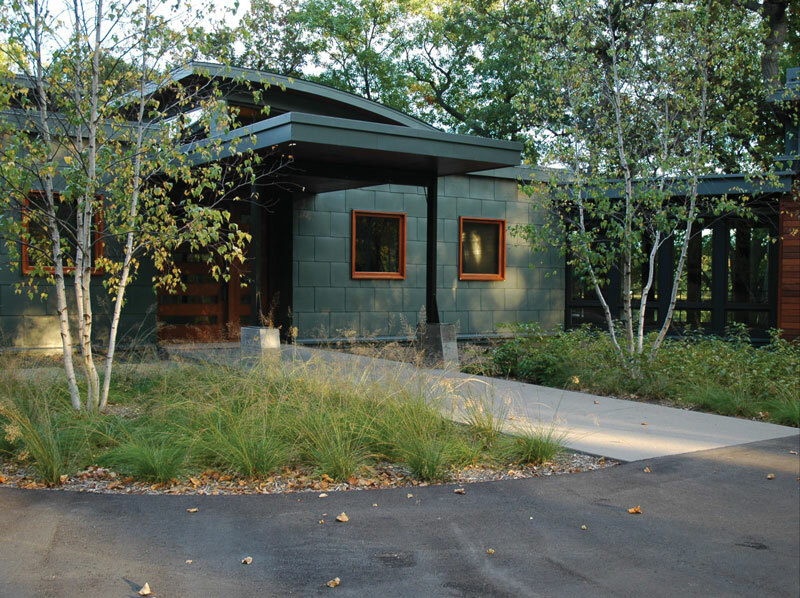 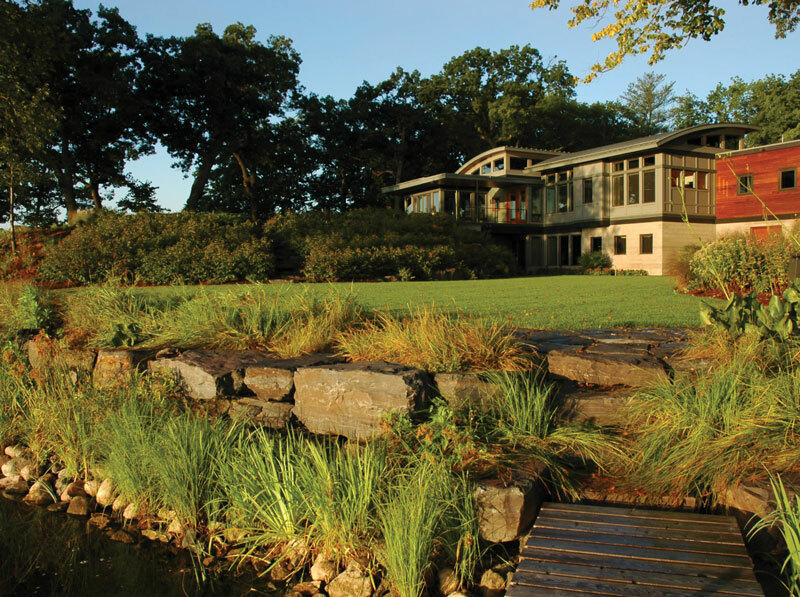 This home and landscape grew out of a thoughtful and exciting design process during which the geometry and materials of the structure evolved from and reflect the landforms and native ecosystems of this beautiful site. 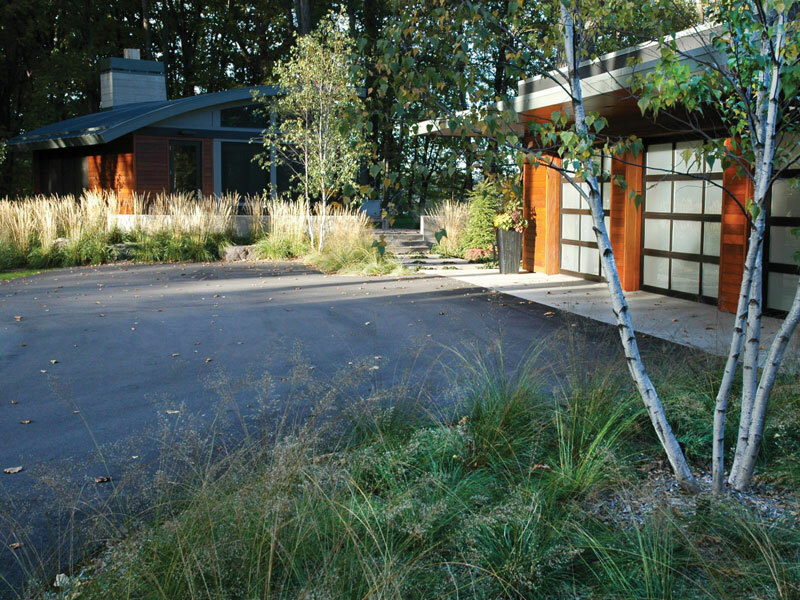 The materiality of the structure is extended into the landscape, connecting the building to the land. 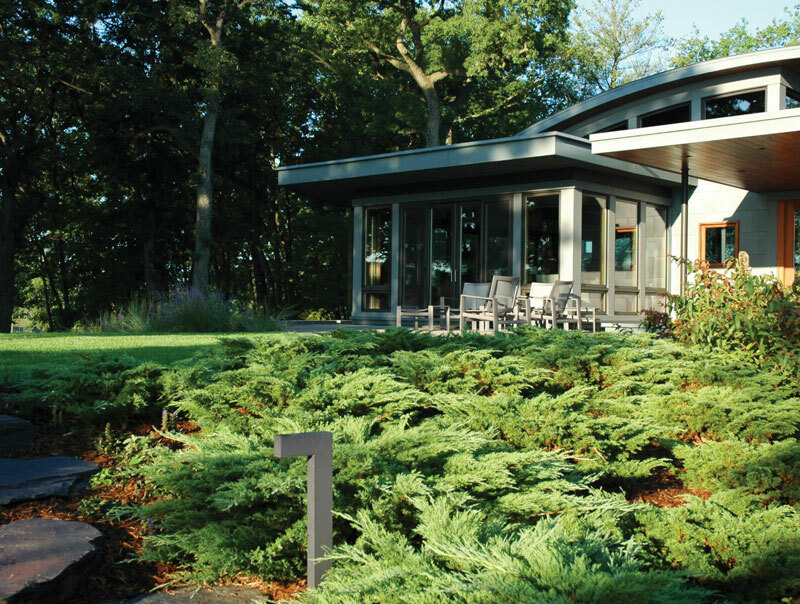 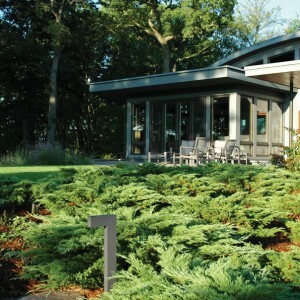 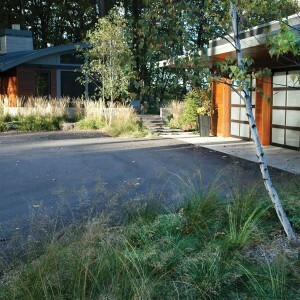 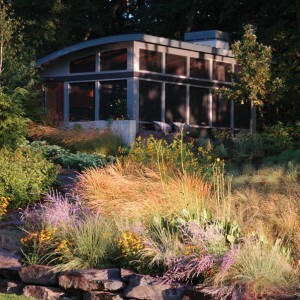 The planting design pushes the envelope of composition with native species. 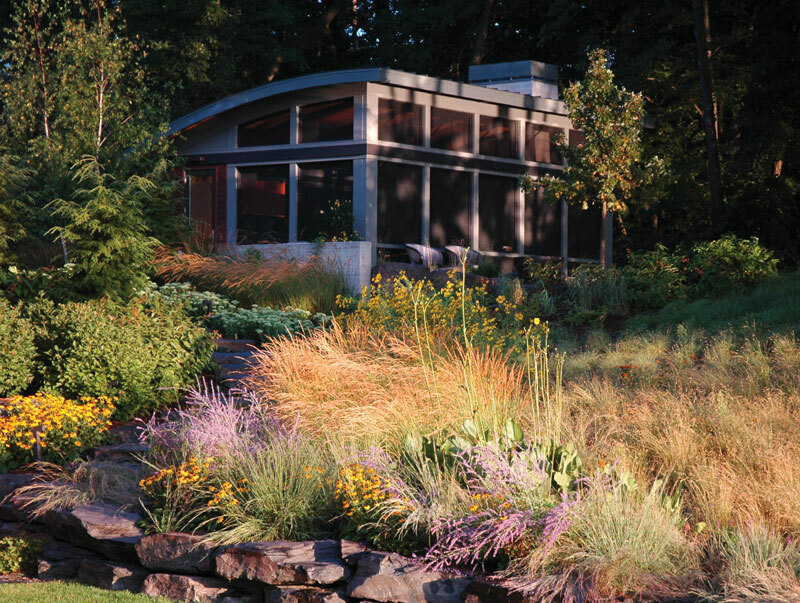 The layout features a variety of expressions of plant arrangement – from a simple monoculture to complex and colorful arrangements of many shrubs, grasses and perennials.